Crossrail is essentially building 2 Railways; 1 Physical and 1 Virtual. 500,000 assets and their related asset information are recorded in the Crossrail Asset Information Management System (AIMS). These range from large concrete structures, to power and ventilation systems, to complex signalling and communication assets. This paper describes how these assets are identified, organised and controlled and will be of interest to all parties serious about making effective business decisions throughout the life of their assets. The Crossrail Project is a £14.8 billion high frequency, rail link being built to serve 41 Railway Stations and related infrastructure in London and the south-east of England. Twin 21km tunnels (42km combined) have been bored across London using 8 tunnel boring machines to link surface sections in the center of London where 10 new stations occupy the route. Crossrail is essentially building two Railways; 1 Physical and 1 Virtual. 500,000 assets and their related asset information are recorded in the Crossrail Asset Information Management System (AIMS). These range from large concrete structures, to power and ventilation systems, to complex signalling and communication assets. As well as delivering a reliable and efficient railway, Crossrail needs to ensure that the railway can be operated and maintained efficiently and effectively through its whole life in accordance with good practice approaches to asset management. 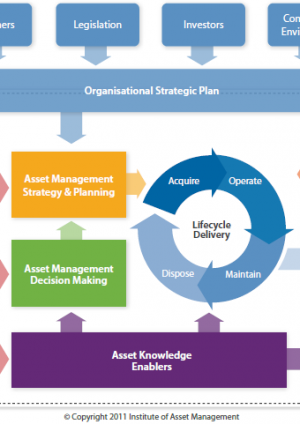 Good practice asset management enables better asset information and subsequently better whole life business decisions. 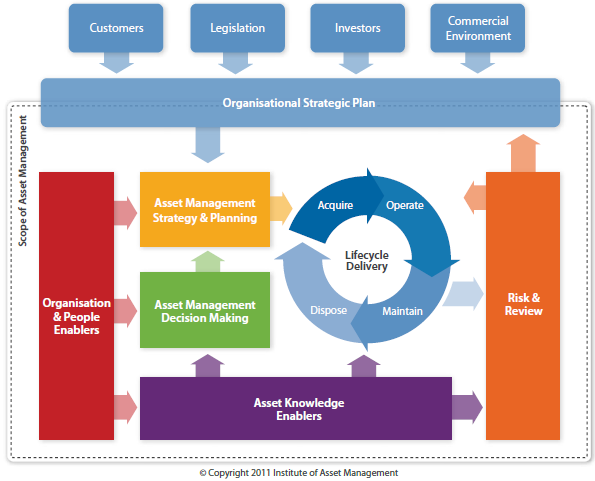 The Institute of Asset Management (IAM) ‘Asset Management Landscape Diagram’ (see figure 2) demonstrates the main areas essential to good practice asset management, of which Asset Information is a key underpinning area. ISO55001 defines – “An asset is an item, thing or entity that has potential or actual value to an organisation”. 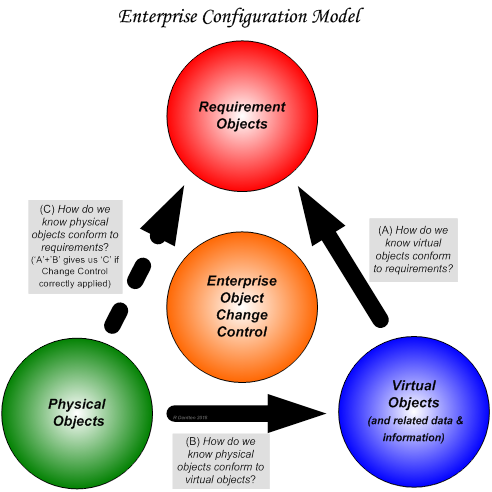 Configuration Management is the practice of establishing and rigorously maintaining objects (assets) of organisational value so that the current configuration of what is strategically important to an organisation is known at all times – no matter what the industry we all have assets! The Crossrail approach is informed by ISO10007 the industry standard for configuration management and worldwide industry good practice. Figure 3 represents the importance of establishing and maintaining objects of organisational value (assets) and related data and information and applying rigorous change control so that current status is known at all times. Why did we need Building Information Modelling (BIM)? The term BIM has been in the industry for a number of decades now and it is an abbreviation of Building Information Modelling. BIM has evolved to include not just buildings but also assets (objects of organisational value). Subsequently, a more suitable abbreviation for BIM given this evolution is that of ‘Better Information Management’ which more clearly describes the key objective. “Better information management to optimise better whole life business decisions”. Organisations are increasingly called upon to leverage the full potential value from their assets to optimise their performance, lower their costs and comply with legislation. In a world of mobile technology it is necessary that organisations have the ability to retrieve relevant quality data and information quickly. Frequently on engineering projects, the acquisition of asset information is undertaken close to the project handover, and can be rushed, leading to poorer quality asset information and more expensive data gathering activities post-handover. 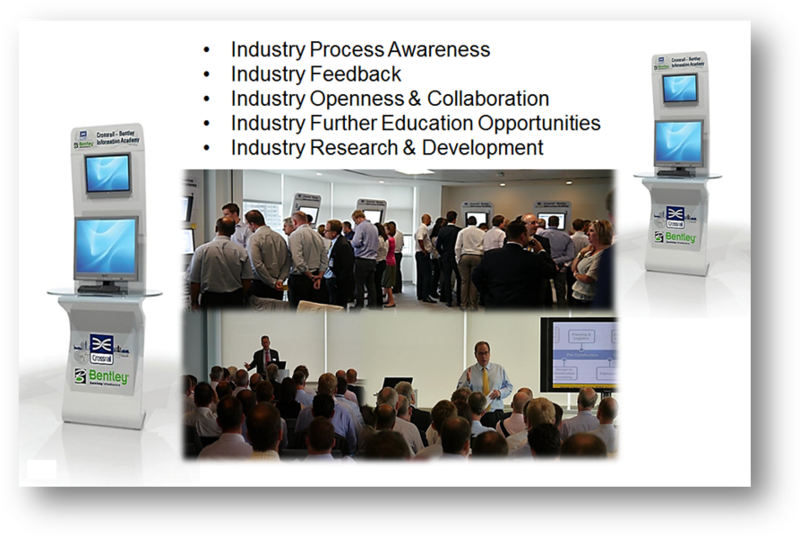 Crossrail has been collecting asset information progressively and intelligently throughout the project lifecycle. This reduces risk and increases the intelligence of the asset base and business information so it is ‘fit-for-use’ immediately and into the operational and maintenance lifecycle phase. How did we apply BIM? Before completing BIM and/or asset information requirements it is important to establish top level ‘buy-in’ from the most senior stakeholders within the organisation. Alignment of organisational goals and an organisational asset management strategy is a prerequisite for top-down alignment, successful establishment and future refinement of asset information requirements. and related knowledge and skill, together with the desire to deliver one common goal, that drives the habits required to successfully obtain better asset information to optimise better whole life business decisions. Crossrail began its information journey by creating an Asset Information Management Framework (sometimes referred to as a ‘BIM Execution Plan) and contractual asset information requirements to support the introduction of Standards, Procedures, Processes and Guidance. This was then followed by further specification of configuration management and asset information management related requirements for the procurement of a key central information management tool. Crossrail had ‘buy-in’ from its Chief Executive, an active supporter of BIM at Crossrail and within industry. Figure 4 describes the ‘Key BIM Planning Essentials’. Crossrail asset information is pivotal to achieving the Crossrail vision of a smart railway which is safe for everyone, reliable for customers, efficient for business, predictable for operations and maintenance and enables proud and motivated staff. Information is established and maintained through a central data hub for efficiency, effectiveness and consistency, reducing ambiguity and thereby reducing risk. Extending the usage of the Crossrail Central Information Management System (CIMS) to provide asset information management capability has avoided the need to purchase a separate costly document management, asset information system and commercial management tool, thereby avoiding significant additional system implementation and integration costs. The CIMS reduces the risk that incomplete or poor quality asset information could prevent handover of Crossrail to future operators and maintainers. Governance arrangements help to ensure effective engagement with the future Infrastructure Managers and reduce the risk of them not accepting the data at handover through being otherwise unaware of its acquisition and provenance. 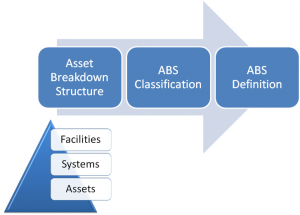 The CIMS provides a single, change controlled and widely available Asset Data Dictionary to explicitly specify the classification of assets and their required attributes, this saves time when stakeholders need to understand information requirements and reduces the risk of using out of date versions. Use of optimised managed processes to minimise the effort required to collect asset information and to maximise the quality of this information is especially critical due to the large volume of assets which will need to be recorded in AIMS. Small improvements in the effort required to acquire information for an asset will have a significant benefit overall. Site data acquisition is expensive and time consuming, and for users it can be difficult to know what data is required. Crossrail Asset Data Collection Spreadsheets present the data already in the CIMS and explicitly define the attributes to be populated. This supports standardisation of information requirements, verification of existing data by site staff and minimises the volume of information site staff has to provide. Effective management of information provision from a very large number of information providers is challenging, consequently an optimised process has been developed by Crossrail for the provision of asset information. By establishing and maintaining good quality asset information that is reliable, trusted and fully utilised by users, huge benefits can be realised, particularly during the operational and maintenance phases. Conservative independent studies have shown that good quality configured asset information can significantly reduce organisation whole life costs. Figure 5 demonstrates the stakeholder interfaces involved. The Crossrail business case for an information management tool deliberately took into consideration the need for a solution which allowed for documents and assets to reside in one system. This subsequently reduced the need for integration between other applications and reduced the likelihood of duplication of effort. This strategic approach enabled us to bring other areas of the business into the common data environment such as contract administration. Implementing a common data environment has been a huge collaborative success for Crossrail. The Crossrail Asset Information Management System (AIMS) is an integral part of CIMS, the overall information management tool, and enables object oriented relationships within, so that assets, asset information and related documentation can all be seamlessly connected. It is important to note that, in industry, technology changes at a rapid rate. To futureproof any business the information management tools need to be flexible and the data model too. Object oriented tools are best suited to offering the required level of flexibility. As well as a central information management tool (CIMS), it is important to note two other key information management tools were used, one for design management activities and the other for geographical information management and for general harvesting of federated datasets. Both of these integrated with the central tool CIMS. 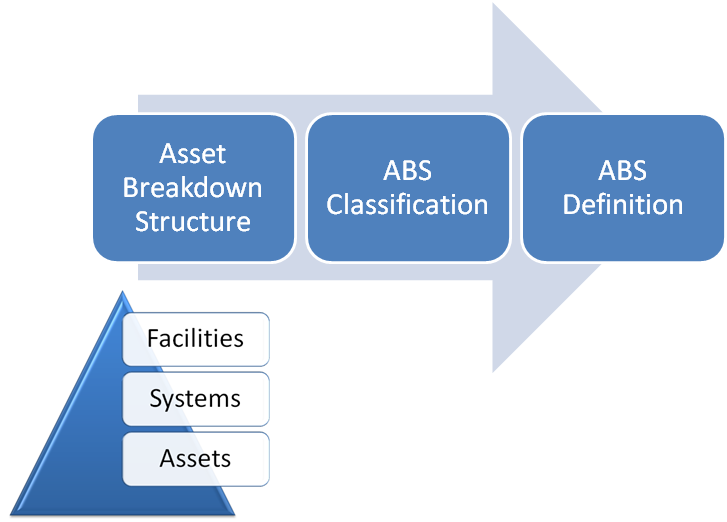 A Crossrail specific Asset Data Dictionary defining the classification of assets, their required attributes and relationship to each other is hosted in AIMS to provide wide visibility of asset requirements. Attributes held against the Asset Data Dictionary are intelligently exported in to Asset Data Collection Spreadsheets (ADCS) with each individual asset class being represented separately in its own worksheet with its own attributes. Our contractors then populate these attribute fields whilst referencing the AD4 definition documents. AIMS and the ADCS have already been utilised to issue 500,000 asset tags related to 12,000,000 attributes from the Contractors. 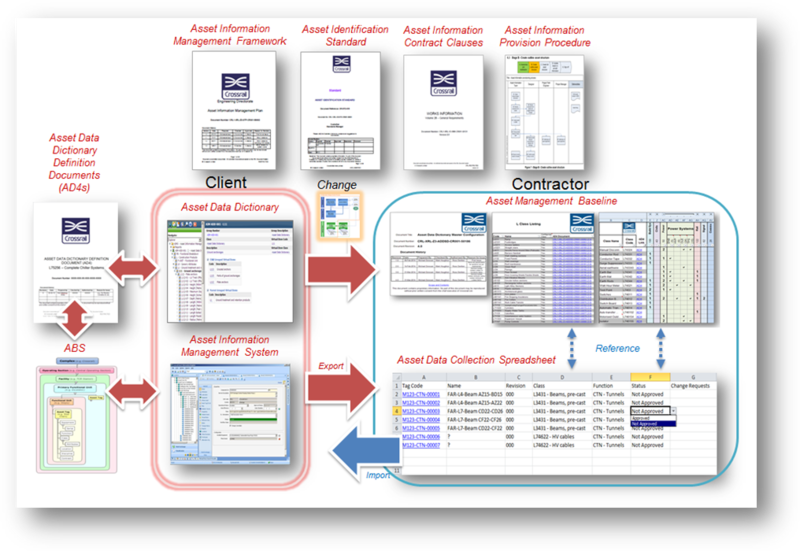 Asset Information Management Framework: the framework being used by Crossrail to specify, acquire, manage and govern asset information. Asset Identification Standard: generic Crossrail requirements for the identification of assets. It includes details of asset naming conventions, the style and format of asset identification labels; label fixing, label material and requirements for machine readable identification. Asset Data Dictionary: this specifies the ABS Functions, ABS Classes and related attributes agreed as relevant to Crossrail assets. Asset Data Dictionary Definition Documents (AD4s): these describe just the relevant detail relating to 600+ specific ABS classes and functions within the Asset Data Dictionary. Asset Data Collection Spreadsheet: these hold each individual asset class being represented separately in its own worksheet tab with its own attributes, Contractors then populate these attribute fields whilst referencing the AD4 definition documents. Master Configuration Baseline: a baseline of all asset related key configuration documentation and classes. Asset Information Provision Procedure: the overall process defined by Crossrail for the creation of Assets in AIMS and the provision of relevant Asset information by Crossrail staff, Contractors and Third Parties. Asset Information & Configuration Management Team: a client side Crossrail team which creates the Asset Information Management System (management system framework) including Contract Clauses, Standards, Procedures, Asset Breakdown Structures (ABS), ABS Classification, ABS Definitions and Guidance for Contracts to follow and comply too and centrally manages the Asset Information Management System (database tool) to capture all data, making it available for performance metrics and monitoring and in readiness for handover. Asset Information Delivery Team: a client side Crossrail team which leads the provision of all asset information and active collaboration and governance with Contracts to ensure asset information is delivered in to the Asset Information Management System (database tool) so it can be subsequently packaged, scheduled and formally handed over to future owners. Contract Clauses: adequate clauses within our contractors’ contractual information to ensure compliance to the aforementioned enablers are achieved. Crossrail made an early conscious decision to integrate the eventual Operators and Maintainers within the Crossrail Project environment; this has made for a much improved relationship between the two parties and an excellent level of understanding of the Operator and Maintainers user requirements. Positive benefits of this relationship include the Operator and Maintainer working with the Crossrail team to introduce Crossrail good practice approaches to wider benefit other sectors of the Operators portfolio including agreement of the base Asset Breakdown Structure together. The Crossrail Asset Information Management Framework has established reliable and safe foundations for on-going operations. Even after handover the Crossrail Information Management System will act as a reliable configuration to ensure consistent compliance to current standards and legalisation and the ability to draw on asset information, documentation, records and contractual administration. Stakeholder concerns that asset information may not support long term asset management needs have been alleviated by defining appropriate governance arrangements through regular Asset Information Governance Group meetings with key internal/external stakeholders. Emerging issues are identified and resolved as early in the process as possible and provide assurance to key stakeholders that asset information will support handover of Crossrail to its future operators and maintainers. Crossrail formed a technical partnership with a key industry partner and developed the Crossrail Information Academy to enable sharing of information good practice across contractors, sub-contractors and suppliers. Details are in the Learning Legacy Information Academy paper. Other initiatives Crossrail has been involved with include; the UK Government BIM Strategy which sets out objectives to look at construction and post-occupancy benefits of BIM (Building (Asset) Information Modelling & Management). 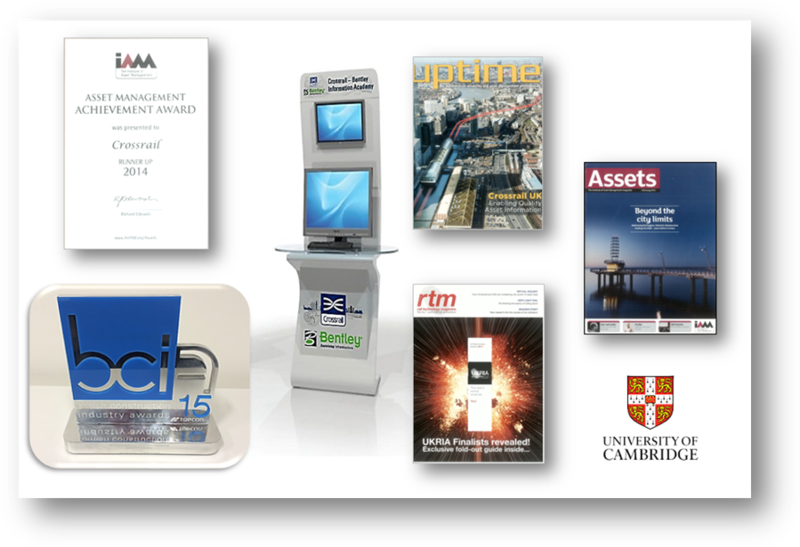 Working within the industry various awards have been achieved and articles written to help spread our work industry-wide. 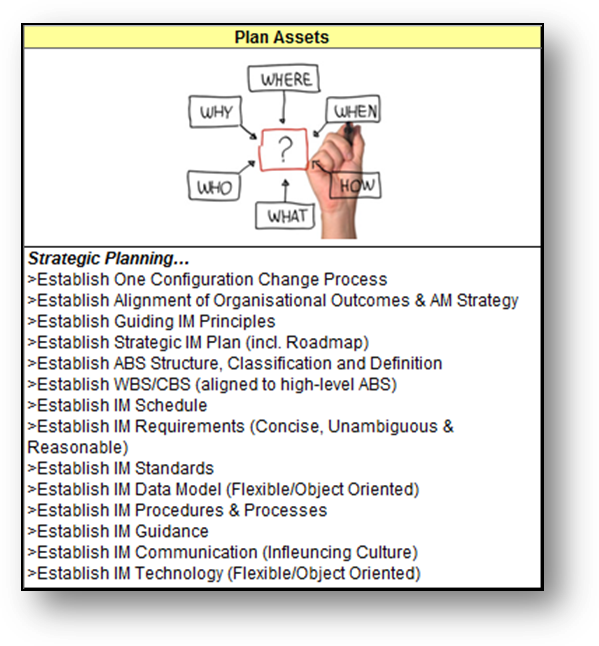 Organisation and Asset Management Strategy Alignment is Key: The organisation’s Asset Management Strategy needs to be aligned with the organisation’s business model and goals so top-level buy-in is assured. The Business Model should be based around the ABS not the OBS. investing time on establishing and maintaining the Asset Breakdown Structure (ABS), ABS Classes and ABS Definitions is key. A business should be asset focused not resource focused eg. The business should be managed and controlled around an ABS not an Organisational Breakdown Structure (OBS) (see Figure 11). Work Breakdown Structure (WBS) should be aligned to ABS and Cost Breakdown Structure (CBS) at a high level (Facility and System level) by the Employer, and Mid/Low level by Contractors (Sub-system/Asset/Equipment). The standard Project Management 100% rule[4&5] should be adhered too (eg. 100% of one Facility made up of one System (25%) and a second system (75%) and subsequently top down etc). This arrangement supports roll-up of costs and more transparency of the desired outcome, in Crossrail’s case the decompensation and subsequent building and delivery of the Railway. Clear, Concise, Unambiguous and Valid Requirements: Asset Information Requirements, Standards, Plans, Procedures, Contract Clauses need to be concisely, unambiguously defined by the Employer and validated/signed-off by the eventual users and supported by guidance. 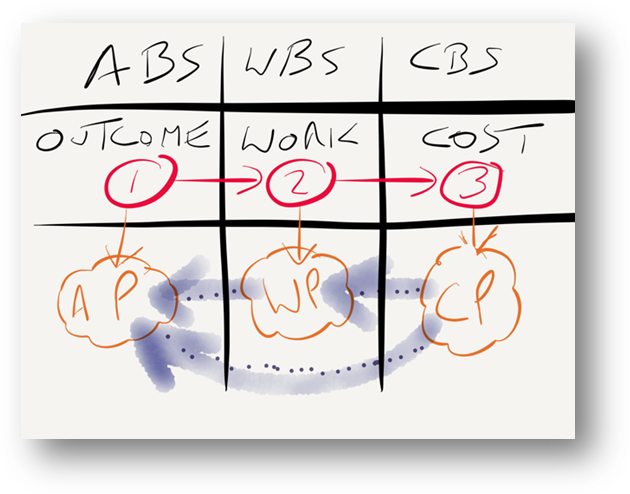 Rigorous Configuration / Change Management: Configuration Management and understanding what is vital and/or valuable to the organisation should be understood and baselined early in the project. It needs to be supported by good control, scheduling, reporting, metrics and monitoring. 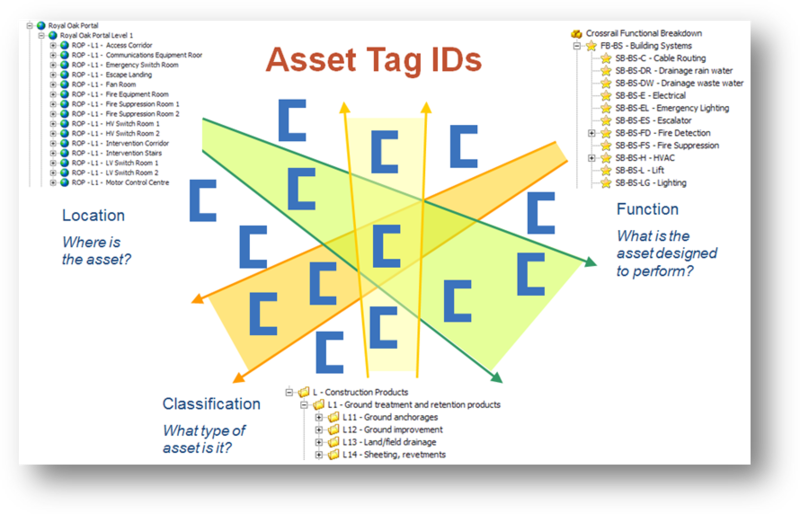 Asset Tag IDs throughout designs (3D Models/Drawings/Schematics): There is a need to get the industry to ensure that ‘Asset Tag IDs’ (eg. Functional asset requirements which need fulfilling) are placed directly in to all designs (3D models, drawings/schematics) – these IDs become the life blood which all parties refer to for the whole life of the asset, through the project lifecycle and O&M phases. 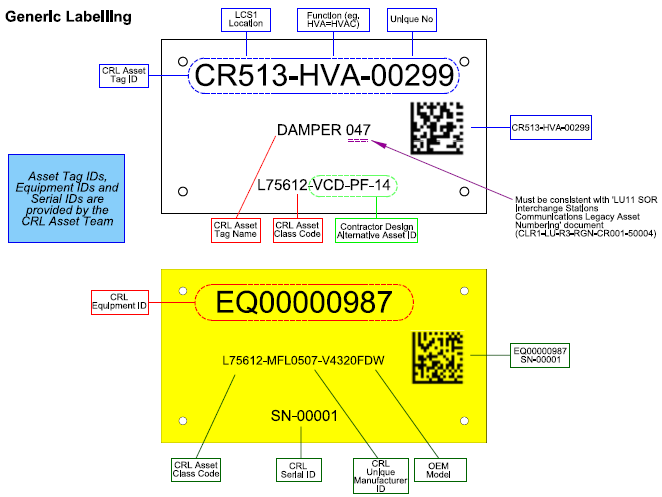 Physical Asset & Equipment Labelling: Crossrail introduced physical labelling requirements to represent the asset requirement (white label) and the replaceable serialised equipment (yellow label) that fulfils the requirement. This is captured here in lessons learned just to reiterate the importance of applying labels, something many industries fail to do and subsequently bear the related delays associated with attempting to find and identify assets and equipment during whole life asset management (see Figure 12 for examples). It is also worth noting that cable labels are formatted differently to regular generic labelling. Flexible Enabling Technology for Futureproofing: Because technology changes rapidly it is important that the data model and tools that an organisation uses are flexible enough to cope with future demands. A flexible relational object oriented tool is therefore recommended. O&M Information intelligently aligned to ABS: All asset information that supports the whole life management of the asset should be intelligently related to the asset. Maintenance Schedules, (for example), should be provided in tabular form separately from documents so owners do not have to wade through manufacturers’ literature to obtain maintenance periodicities. Information Management Academy: Adopting an information academy is a smart move to get the array of information management related processes and initiatives communicated internally and externally. A dedicated Communications Manager should also be a key consideration. Roadmap: Having a clear, concise and unambiguous roadmap of the asset lifecycle information management journey is important as this helps to successfully specify requirements at each key milestone and correctly plan and schedule activity too. Dedicated Employers Asset Information Team: Clients need to understand that to ensure their asset information requirements are delivered to a consistently high quality they need a dedicated client-side team with generic processes to ensure the standards are maintained. Central management (eg. within AIMS) of this quality asset information is also key and enables much better visibility of all round current status. 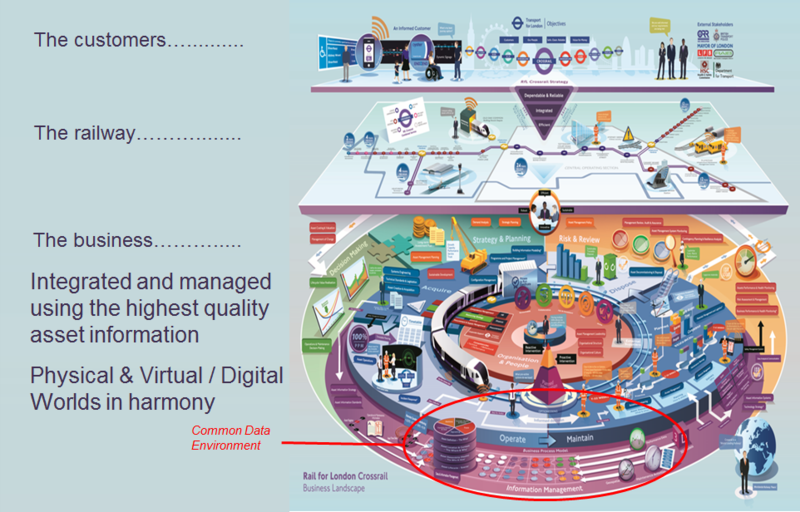 Three challenges in asset & information management to address over the next five years? Challenge: Industry asset information requirements are not ‘open’ enough. Challenge: Asset information requirement enablers are inconsistent across Industry. Feasibility studies into Industry development of new emerging information & data related capabilities eg. mobility, smart sensors, virtual tools, visualisation tools, open file formats, supply chain cloud based solutions, drones, location based (physical) asset tracking etc. Challenge: There is a shortage of skills and knowledge in industry within the area of lower level practical implementation of BIM and/or asset information provision. Recommendation: asset management modules to be developed for use in higher education/apprenticeships to raise the importance of enabling good quality asset information to optimise the whole life value of assets. Focussing on the high-level understanding of (for example) the ISO 5500X suite of asset management system standards to the lower level practical implementation of local Standards, Plans, Procedure and Structures etc. and install the importance of projects to “think assets” from project conception and TOTex as opposed to CAPex v OPex. Crossrail implemented a number of enablers to support the provision of quality asset information. Provisioning of this information was conducted progressively and not at the last minute which can often deliver asset information which is late, of poor quality and not fit for its owners, operators and maintainers to use. Crossrail has, and continues to work with the industry to develop good practice in information management, recognising that generic and more efficient approaches are required not only to support the physical assets but also to control and manage the increasing volume of data organisations use and demand. External factors also need to be considered. Control and Management of people, processes, technology and information is key for organisations to fully optimise their potential. Crossrail realised that whole asset life information was required for the project and enabled quality asset Information to be efficiently and effectively collated to support the Crossrail programme and the new Elizabeth Line. Within Crossrail; those in the Technical Directorate, IT Directorate, Delivery Teams and the dedicated Asset Information & Configuration Management Team. Ross has applied over 25 years transport industry experience to take a lead on assets for the £15 Billion Crossrail. Ross has been the project lead for the delivery of the Crossrail Asset Management & Traceability requirements for the last 10 years including Asset Information Management Plan, Asset Identification Standard, Information Management System, Asset Breakdown Structure, Classification and Definition documents, Asset Information Provision Procedure, Asset Information Governance Group and Crossrail/Bentley Information Academy ‘Go-Live’. 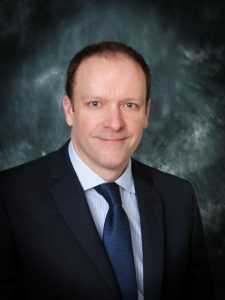 Ross has been involved with the development of BS1192-4 and Uniclass 2015, been an industry supervisor through the University of Reading and fed in to industry studies through the University of Cambridge. Ross is a Member of the Institute of Asset Management.